Hi! 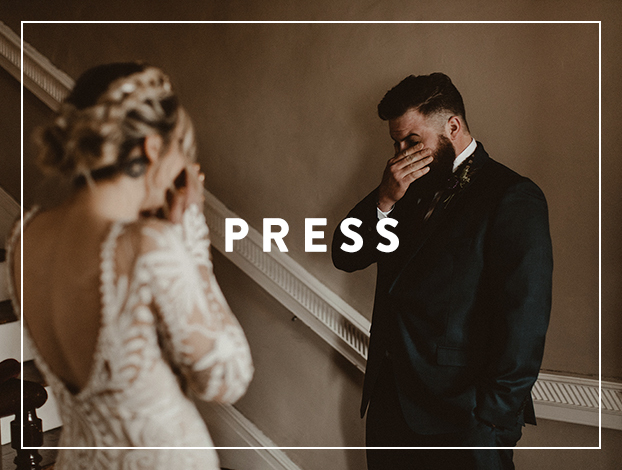 We’re Johnathan and Marissa - photographers based out of Charleston, and always looking to travel. We met each other in school but didn’t start dating until after graduating so technically we aren’t high school sweethearts although everybody says that we are. In February of 2013, we got married on a rainy afternoon getting absolutely soaked while our pictures were taken, and we wouldn’t trade that day for anything. We’ve worked together ever since starting Hazel Eyes Photography in 2010, and over the years have documented hundreds of couples in love. Recently we’ve started traveling the U.S. and beyond and have had the opportunity to photograph weddings and elopements everywhere from art museums in New York City, to the middle of the desert in Joshua Tree, to historic chapels in the Dominican Republic. We love exploring new places and meeting new people (and their pets). We have a small dog named Letty who is a Shitzu-Pug mix and we love her more than anything. Full disclosure, she was named after Letty from Fast & Furious so there’s that. She travels everywhere with us so we hope you get to meet her, and if you have a dog we would love to meet them too! We listen to all kinds of good music, the occasional audio book on long drives, but our absolute favorite is listening to crime podcasts. We love to binge watch reality TV shows (we see you Jersey Shore) or Harry Potter while we edit pictures for hours on end. We try to eat healthy most days, but Kraft mac & cheese is our guilty pleasure and we stand by the fact that chips and salsa makes a great meal. At the end of the day, we believe what you love defines your life and everything in it. Photography is something we love, but it’s also more than that. It’s is a major part of our lives and our relationship, it’s an extension of ourselves, and it’s our life’s passion. Curious about how we do things?